Once Ubuntu Linux VM is provisioned in Azure, in addition to RDP setup we need to attach disks for our data. I had to have a mix of Windows and Linux Indexers for transition and there is a nuance in having that, more on it later. Most of this info came thanks to Azure article. 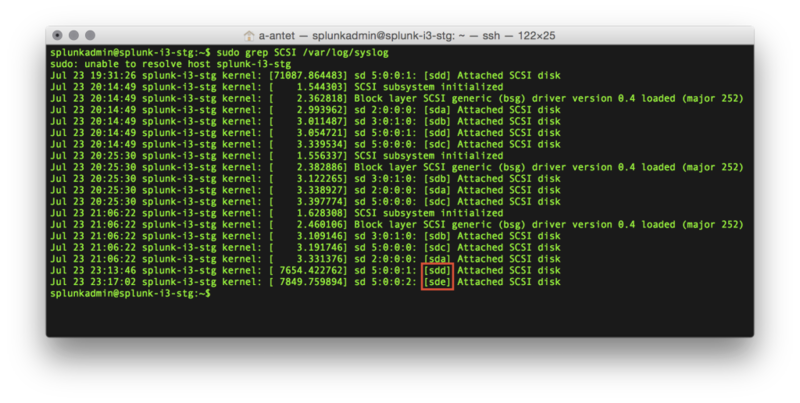 Special to How To Geek for details on fdisk. 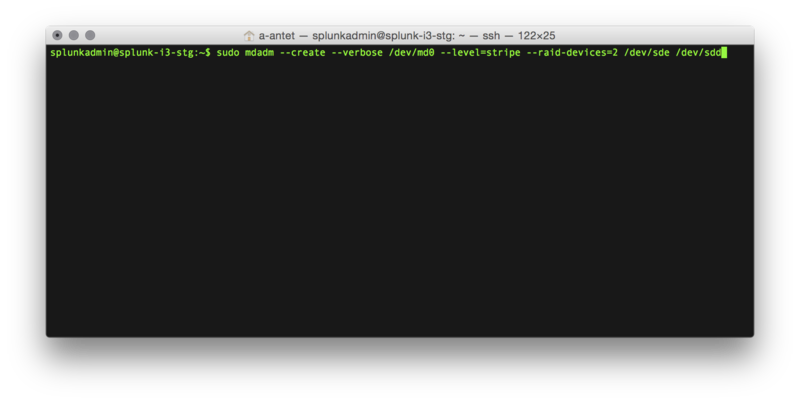 We can do this step via RDP connection we’ve setup in previous step, or we can SSH into our VM. Method using RDP is a bit tricky as you will have to RDP as root user in order to use Disk Utility (any suggestion how to overcome this limitation, please let me know via Twitter) but we will have to change disk permissions later. For now let’s move with SSH method. 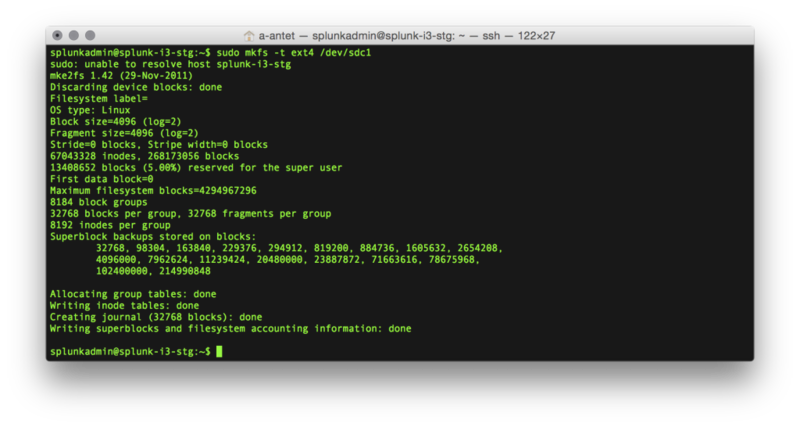 Run command to get the list of attached disks. We now are ready to set up mount point for this partition. 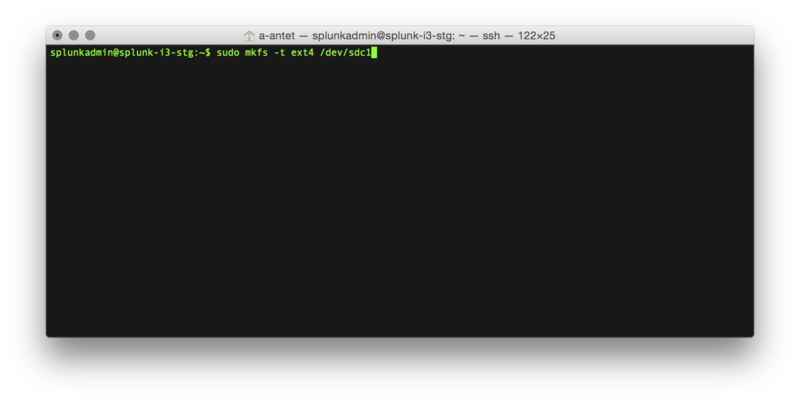 We will not mount this drive until Splunk is installed, you will see why. Cold buckets can reside on slower drive to save money, while Frozen buckets are essentially ‘deleted’ buckets and depending on setup might not even be required. My setup has 2 virtual drives RAIDed 0 for Hot/Warm buckets, and single drive disks for Cold and Frozen. 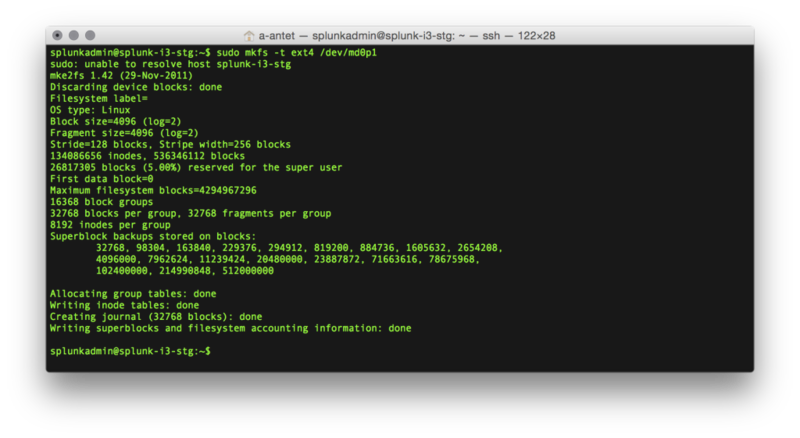 We’ve setup single drive disk in previous step for Cold and will skip Frozen setup as it is identical to Cold. 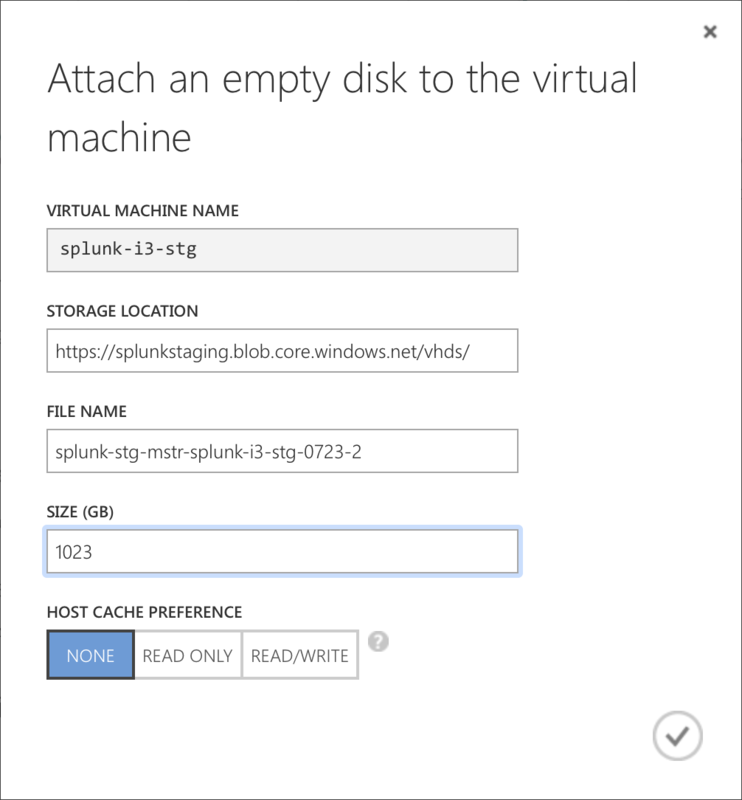 Attach 2 new empty disks in Azure Portal as outlined above.